ScapeToad uses the Gastner/Newman  diffusion-based algorithm to adapt map surfaces to user-defined variables without altering their topological relations. ...and applies the Gastner/Newman algorithm while respecting shape constraints. Map-areas now reflect user-defined variables. How and where can it be used? ScapeToad is a cross-platform, open-source application written in Java, designed as an independent application using the ESRI Shapefile format for input and output. ScapeToad also exports maps in SVG format. ScapeToad has a user-friendly interface, which guides the user throughout the map creation process. Where can I get ScapeToad? 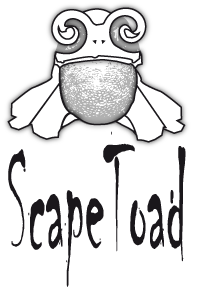 ScapeToad is available from our download page since April 21st 2008.